It almost went down as the year of the comeback but Michael Schumacher’s decision to cancel his return to Formula One means 2009 will now be remembered as the season of great sporting anti-climax. 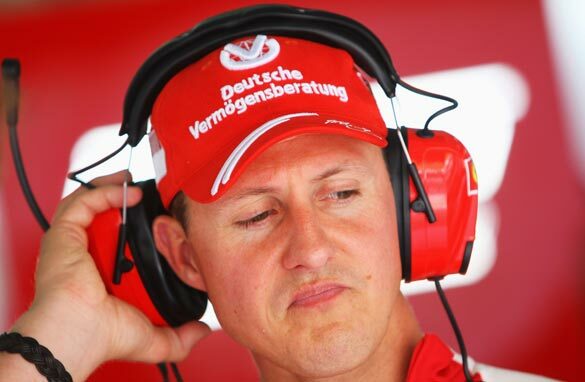 Schumacher has been forced to call off his eagerly-awaited return to Formula One. First, there was 37-year old Lance Armstrong returning to Tour de France action after a gap of four years. He gave race favorite Alberto Contador a huge scare before settling for third place overall – an astonishing performance but not the fairy tale many had hoped for. Then, Tom Watson made us all feel young again by swinging his way to the top of the leaderboard in The Open championship. At 59 years of age, and with two replacement hips, he defied expectations until the final hole of the final round when time caught up with him. Second place was good but not great. Now, Michael Schumacher has denied us the mouth watering sight of a motor racing legend taking on the best of the next generation. Formula One world champion Lewis Hamilton had never raced against Schumi and the German was a hero to countryman Sebastien Vettel and a host of other young drivers in the sport. But they may never get the chance to pit themselves against F1’s most successful ever driver after the 40-year old said the neck he injured in a motorcycling accident won’t stand up to the rigors of a grand prix. Pity Ferrari didn’t check Schumacher’s health before announcing his comeback, unleashing a storm of publicity and surge in ticket sales for the next race in Spain. Did the great man really want to turn back the clock, or simply wind us all up? For those of us still hoping for a nostalgic twist to the European summer, our last remaining hope is Mark Ramprakash. Although he’ll be 40 next month, the Surrey batsman is in contention to play for England in the deciding test match of the current Ashes series. One last chance for a veteran triumph instead of a geriatric damp squib. These "old men" are braver, stronger and more of an inspiration to us all than the young group put together. The character they have displayed in their comeback efforts is a reminder of what sport should be about: passion, effort and skill. Who cares if they didn't win? To me, second or third is a greater victory than someone 10 or 20 years younger getting the win. It's a pitty. I think Schumi was the best option for Massa's remplacement. I thought you meant Mark Ramprakash returning to dancing! The world was holding their breath for Schumi to come back, alas.